The SCAA Sr boys soccer championships were held Oct. 18th. In AAA play BMHS defeated ISS 4-3. At AA NPSS defeated TLSS 9-1. The A championship saw ESCNA defeat EDHS 4-0. BMHS will host St. Peter’s in the GBSSA AAA Championship Oct. 25th at Banting, 2:30 pm. 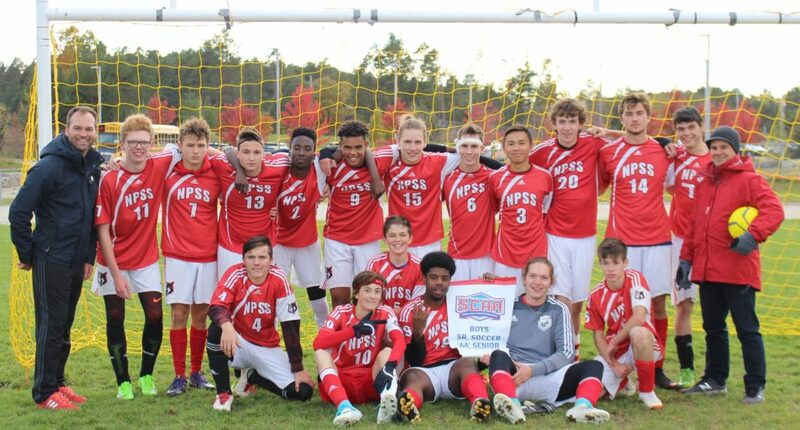 NPSS will host Patrick Fogarty in the GBSSA AA semi-final Oct. 24th at Nottawasaga Pines, 2:30 pm. ESCNA will host Jean Vanier in the GBSSA A semi-final Oct. 24th at Tree Nursery Field #1 in Springwater, 2:30 pm. 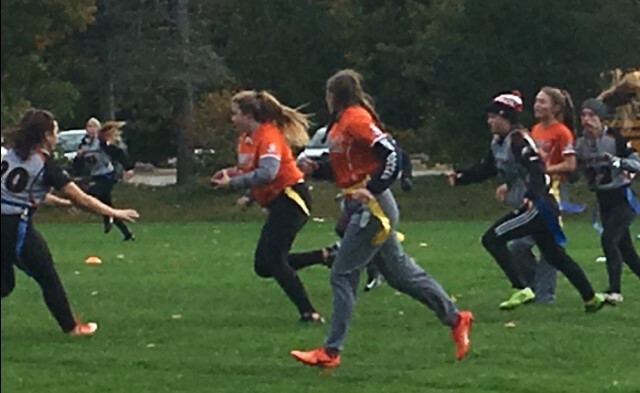 NPSS Sr Girls flag captured their second consecutive SCAA championship on Oct. 18th by defeating TLSS 20-14 at J.C. Massie field located at Georgian College. The Timberwolves now move onto the GBSSA A/AA Sr championship on Oct. 25th at 2:30 pm at J.C. Massie field. TLSS Jr Girls flag captured the SCAA championship on Oct. 18th by defeating SCI 8-0 at J.C. Massie field located at Georgian College. 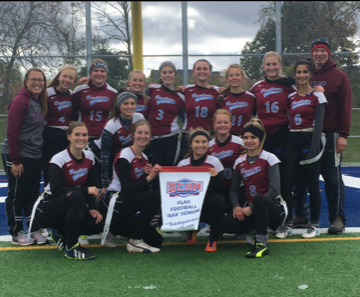 BMHS Sr Girls flag captured the SCAA championship on Oct. 18th by defeating BNCI 8-1 at J.C. Massie field located at Georgian College. The Marauders now move onto the GBSSA AAA Sr championship on Oct. 25th at 1:00 pm at J.C. Massie field. 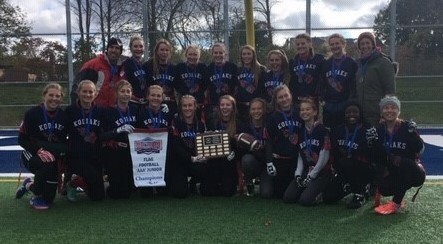 BCSS Jr Girls flag repeated as GBSSA & SCAA champions on Oct. 18th by defeating ISS 28-13 at J.C. Massie field located at Georgian College. 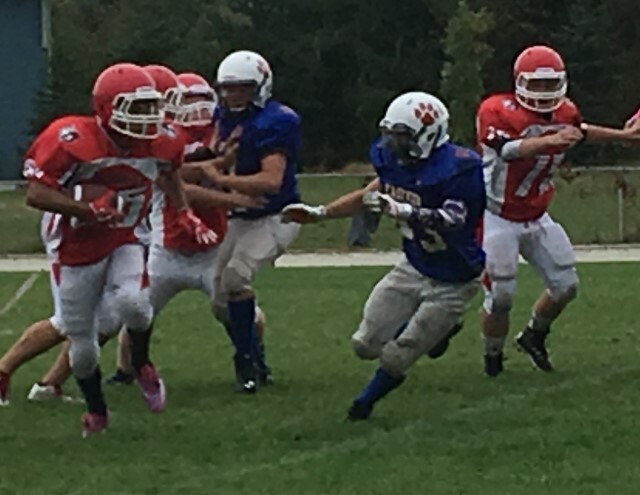 ESS at NPSS Friday Oct. 5th ended in a tight 12-8 victory for the Wildcats in SCAA Jr AAA play. 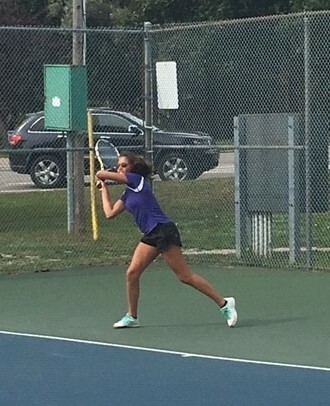 Below are the results from the SCAA Sr tennis GBSSA qualifier. Top 3 finalists from the qualifier move onto the GBSSA Sr tennis championship which will be held Oct. 3rd at the Cranberry Resort in Collingwood. Congratulations to all for an outstanding GBSSA Championship tournament today at National Pines Golf Course in Barrie. The weather was a struggle, with torrential overnight rains leaving the course with pockets of standing water early in the morning. We started in a light drizzle, but an absolute deluge midway through the round necessitated a 45-minute suspension of play before the course could drain and become playable. But we all should credit our incredibly resilient athletes, who handled these hurdles with class and without complaining, and who ended up posting some unbelievable scores despite the soggy conditions! We needed to go to a playoff to determine our 1st individual OFSAA qualifier (Open Division) for the third consecutive year which was won by Ryan McMullin of Collingwood Collegiate, edging out last year’s playoff victor Jack Alward from Jean Vanier after the first playoff hole, following a pair of incredible 74s from these two golfers in abysmal conditions. Ryan is the 2018 GBSSA Individual Champion, and will be joined at OFSAA by Evan Moon from Banting, who was our top High School Division golfer with a score of 81. In the Team Championship, one of tightest finishes in GBSSA history saw the Innisdale Invaders take home the 2018 Senior Boys GBSSA Team Championship, narrowly toppimg the Eastview Wildcats by a margin of only 3 strokes! 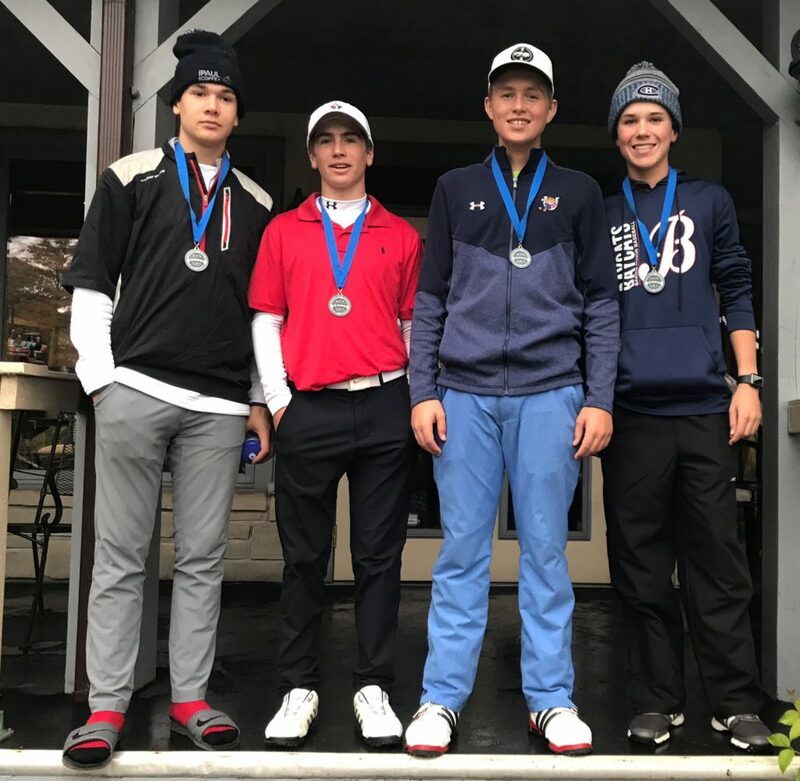 Congratulations to C. Preston, J. Howell, M. Brassard, and C. Tidd, as well as their coach Brent Preston, as they represent the GBSSA next week at the OFSAA Senior Boys Golf Championship, being held at the Royal Ashburn Golf Club in Whitby, Ontario. We wish these athletes the best of luck as they compete against the finest high school golfers in the province October 10th and 11th. 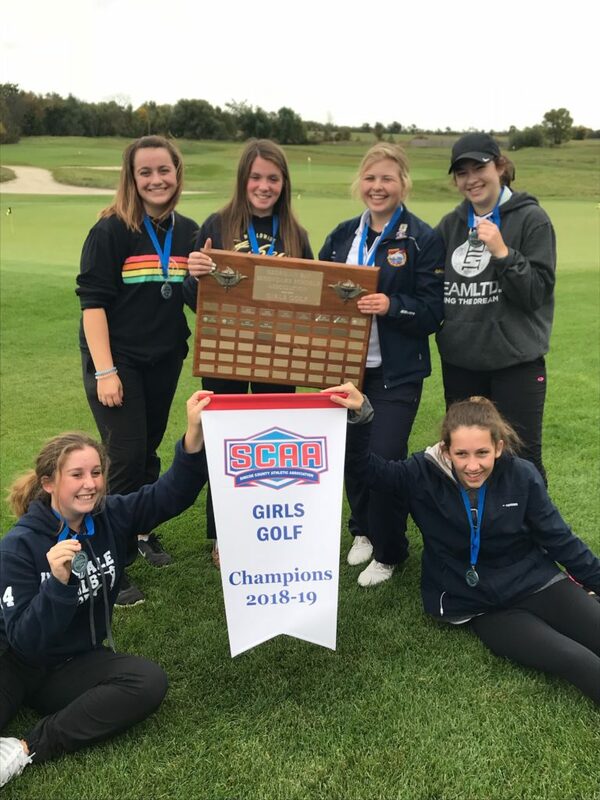 ISS will now move onto the OFSAA Girls Open Golf festival which is being held in Windsor Oct. 10-11.